Magic, well performed is a highly visual and entertaining art form. It engages thoughts and feelings and stimulates creative imagination, making it a very unique form of entertainment. 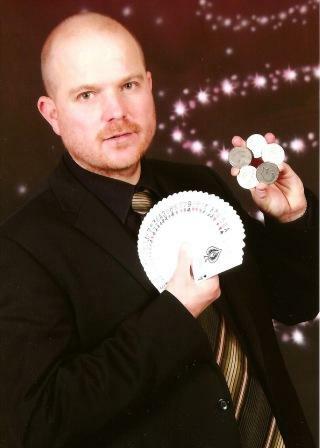 Bruce has been entertaining as a close-up magician for more than a decade now and is a Silver Star Member of the prestigious Inner Magic Circle. 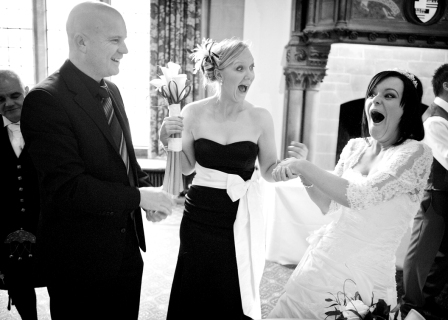 Whether it be mix & mingle, strolling or table magic, Bruce's award winning skills will amaze and entertain and bring wonder and belief to your audience. Bruce entertains regularly at banquets & balls, weddings, corporate events, bar mitzvahs, masonic functions, hotels, clubs, dinner parties, product launches, trade events, promotions, private parties, grand openings, garden parties, cocktail functions etc. The magic that Bruce performs is visual, magical, memorable & most importantly, entertaining. * Bruce is a Silver Star Member of The Inner Magic Circle (A.I.M.C) and a member of Equity. Both John and I would like to thank you for your excellent professionalistm on our wedding day. Your presence certainly added a great dimension to our special day. Our guests are still talking about your performances. We would not hesitate in recommending you to our friends and family. Many thanks once again. A very big thank you for your magical performance on the 18th. Young and old, we were totally baffled. You are a star. Don is still trying to figure out the £20 note trick. We wish you every success for the future and look forward to meeting you again. Best wishes.